It’s not going to fix congestion. 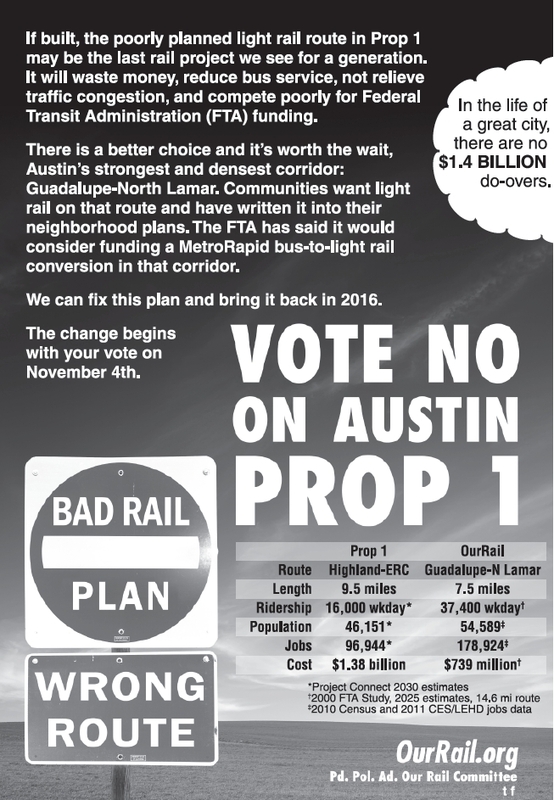 Prop.1 on the Austin November ballot is an attempt to fund the largest single bond in Austin history, almost half the $1 billion going to the light rail proposal. Finally people seem to be getting the fact that the light rail, if funded, won’t help with the existing traffic. KUT had a good review of this yesterday, the comments also some useful links. 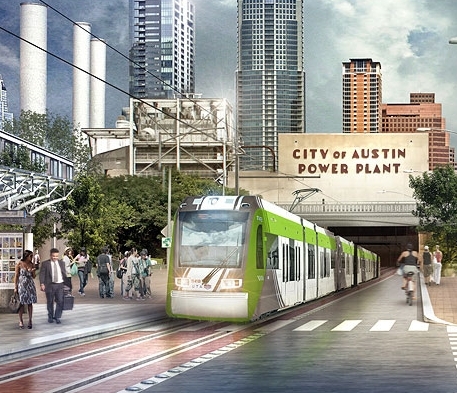 You can listen to the segment here: Is a Light Rail Line Going to Solve Austin’s Traffic Problems? Jace Deloney, makes some good points, what no one is saying though, and what I believe is the real reason behind the current proposal. There is a real opportunity to develop a corridor of key central Austin and, some unused and many underused land, West of I35, and from Airport all the down to Riverside Dr. This is hugely valuable land, but encouraging development would be a massive risk, purely because of existing congestion. Getting more people to/from buildings in that corridor, by car, or even bus, into more dense residential accommodation, a medical school, UT Expansion or re-site, more office, whatever, will be untenable in terms of both west/east and south/north congestion. So the only way this could really work, is to make a rail corridor, with stations adjacent the buildings. The Guadalupe/Lamar route favored by myself and other rail advocates wouldn’t add almost any value to that new corridor. It’s debatable that it would eliminate congestion on the west side of town either. But with a rail transit priority system, the new toll lanes on Mopac, the ability to get around at peak times, and the elimination of a significant number of cars in the central west, and downtown areas would make it worth the investment. Voters need to remember this when considering which way to vote in November. If the city, UT, and developers want to develop that corridor, they should find some way of funding rail from those that will directly benefit. City wide economic impact; new tax revenues, new jobs is a slight of hand, a misdirection. 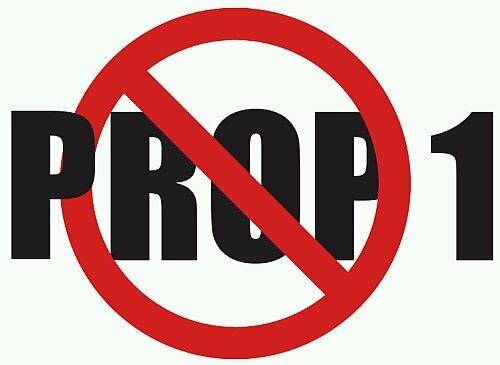 It’s not acceptable to load the cost onto existing residents for little benefit, just so you can developers can have their way. 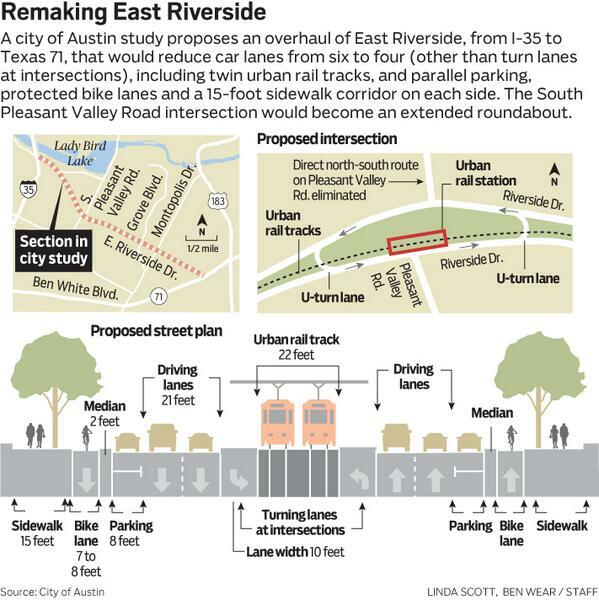 Rather than rally behind what most transport conscious users and urbanization advocates believes would be hard, but right choice to put a rail line of some sort, straight down Lamar from North West Austin, [Mayor] Leffingwell used his last state of the city to rally behind the current rail proposal. wasn’t on board with eliminating [Car] lanes. the city, if nothing else, will need to rethink how wide to make the bike lanes and sidewalks. What is wrong with these people? Doesn’t anyone brief them on the real world. The traffic all over the city is backed up at peak times. Offering a viable alternative transport which can make real progress is the only option to get people out of their cars. So, while the Statesman might call Leffingwell “urban rails primary political champion”, that doesn’t mean he has shown leadership. Rail or fail indeed Mr Mayor? One line going nowhere, connecting to another not getting built. Footnote: As documented in wikipedia, Mayor Leffingwell is a 32-year airline pilot for Delta Airlines and grew up in the neighborhood where I live. I’m not trying to conflate two separate subjects with this post, but finally people are starting to get part of the real need for alternate transport options in Austin. Urban Rail and Drink Driving. NPR posted a link to this KUT segment/web page to it’s facebook page today. I listened to the story as I drove to work this morning on Morning Edition. Providing additional transport isn’t enough, it will need a generational change. However, generational change needs real leadership to solve this problem and that’s been distinctly lacking from the “Rail or Fail” Austin Mayor Lee Leffingwell, and departing Governor of Texas Rick Perry. Perry, the longest serving Texas Governor has not only been absent from the discussion, but allowed the airline South by South West to completely derail the last serious attempt at real rail in Texas. Austin is a city of alcohol tourism. We have at least three neighborhoods dedicated to the consumption of alcohol. People travel to our city from all over the world to get drunk. We need to stop burying our heads in the sand. The 6th st entertainment district over-serves their clients on a regular basis. No one should be carried out of a bar because they are too drunk to walk and that behavior is just normal for dirty 6th. The Austin bus system isn’t horrible but it’s not enough. This city desperately needs a more comprehensive public transportation network. That network should include trains, buses and contiguous sidewalks. Our two departing “superheroes” share the blame. In addition to Perrys’ “do nothing” approach to alternate transport, Leffingwell leaves office having presided over a meandering, rudderless transport policy for the city that has had Lavaca a major road through downtown completely jammed up for the past 8-months and going to miss it’s rescheduled completion; a red line that is totally underutilized; yet self congratulating at every opportunity at an Austin that is best for this, top for that. Rather than rally behind what most transport conscious users and urbanization advocates believes would be hard, but right choice to put a rail line of some sort, straight down Lamar from North West Austin, Leffingwell used his last state of the city to rally behind the current rail proposal. M1EK has long been an outspoken critic of the policy, process and people involved. This blog entry contains a good summary of my feeling and it’s a re-post with some useful links in the comments. And here is the problem. Even if this line is a success, it would at best encourage the development of a 4th alcohol tourism destination, it won’t do anything to address the ones we already have. Instead, trains will terminate a good 20-minute drive from the existing centers, rather than stopping on Lamar around 5th, and looping through downtown, perhaps as shown through the ProjectConnect screen grab shown above. In the meantime it is hard to see how Austin will tackle the problem of drink driving for the next 5-years, what’s clear is that it is going to take more than more punishment, stiffer fines, etc. Leffingwells’ Austin and Perrys’ low regulation, low taxation dreams are starting to show their nasty underbelly.